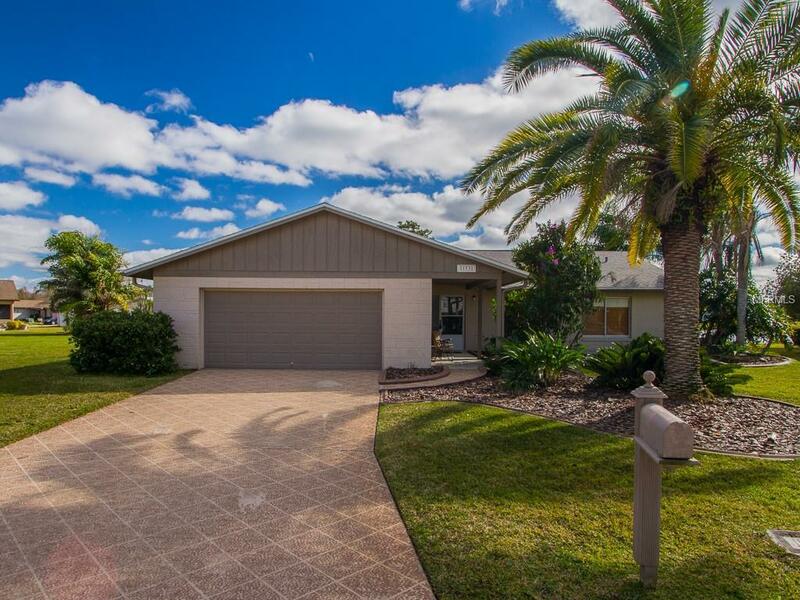 Enjoy Easy Florida living in a beautifully maintained 3/2 block home, conveniently located on a quiet cul-de-sac, with peaceful waterview from your private HUGE screened patio across the back of the home (no boats allowed). The Open Living-Dining-Kitchen area is light and bright with vaulted ceilings and skylights. Nice touches made by this owner: NEW ROOF IN DECEMBER 2018, new floors, new master vanity, contemporary lighting fixtures, and kitchen appliances new 5 years ago. Yard maintenance, community pool, recreation and fitness are included in this HOA! This is the best Orlando location: close to Sea World, Universal Studios, I-drive entertainment & restaurants, and an easy commute to downtown, Orlando airport, Disney World and more. Call for a showing today!